In this paper, we present a newviewof multiclass classification and introduce the constraint classification problem, a generalization that captures many flavors of multiclass classification. We provide the first optimal, distribution independent bounds for many multiclass learning algorithms, including winner-take-all (WTA). 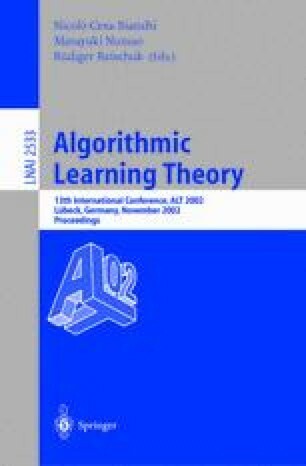 Based on our view, we present a learning algorithm that learns via a single linear classifier in high dimension. In addition to the distribution independent bounds, we provide a simple margin-based analysis improving generalization bounds for linear multiclass support vector machines.